In reply briefs filed Tuesday with the United States Court of Appeals for the Fifth Circuit in the case Brackeen v. Bernhardt, the United States and defendant tribal nations reaffirm the constitutionality of the Indian Child Welfare Act (ICWA). The briefs also underscore why ICWA’s protections continue to be vital for Native children and families. 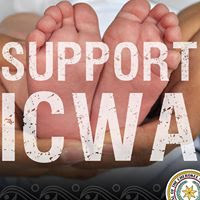 For over 40 years, ICWA has acknowledged the inherent right of tribal governments and the critical role they play to protect their member children and maintain the stability of families. Brackeen v. Bernhardt is the lawsuit brought by Texas, Indiana, Louisiana, and individual plaintiffs, who allege ICWA—a federal statute that has been in effect for more than 40 years and has helped thousands of Native children maintain ties to their families and their tribes—is unconstitutional. It is the first time that a state has sued the federal government over ICWA’s constitutionality. The lawsuit names various federal agencies and officials as defendants, and five tribal nations (Cherokee Nation, Morongo Band of Mission Indians, Navajo Nation, Oneida Nation, and Quinault Indian Nation) also have intervened as defendants. In addition, amicus briefs in support of ICWA were filed on behalf of 325 tribal nations, 21 states, several members of Congress, and dozens of Native organizations, child welfare organizations, and other allies. The U.S. Constitution specifically gives Congress the power to legislate for the benefit of Native people and tribal nations. ICWA falls within that constitutional authority because it applies only to children who are either citizens (referred to as “members” in ICWA) of a federally recognized tribe, or who are both eligible for citizenship and the biological child of a tribal citizen parent. In addition, Congress has enacted laws concerning Native children from the earliest days of the United States government. ICWA provides a productive framework for states and tribal nations to partner in protecting the health and well-being of Native children. There is a long history of Native children being removed from their families and communities without sufficient reason and often with little consideration of the rights of either the Native children or their families. 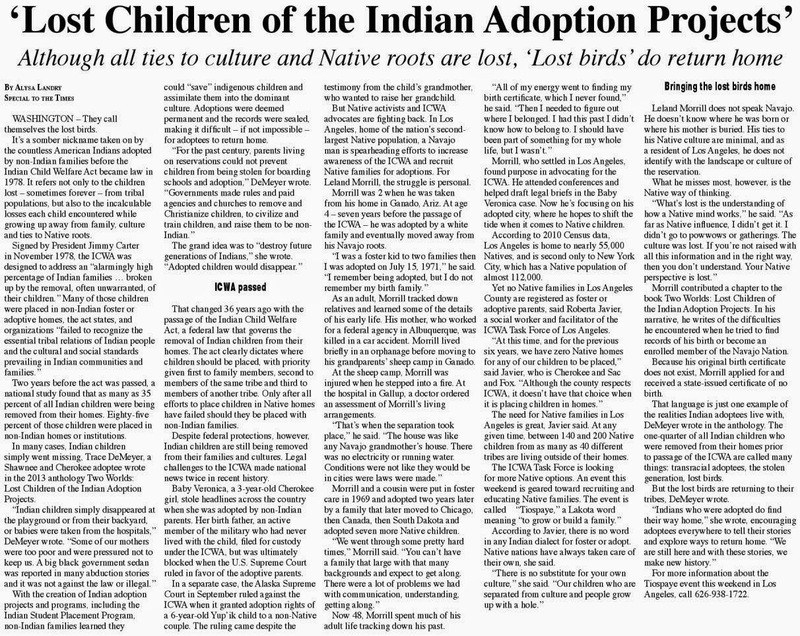 Before ICWA was enacted in 1978, as many as one out of every three Native children was removed from their home. 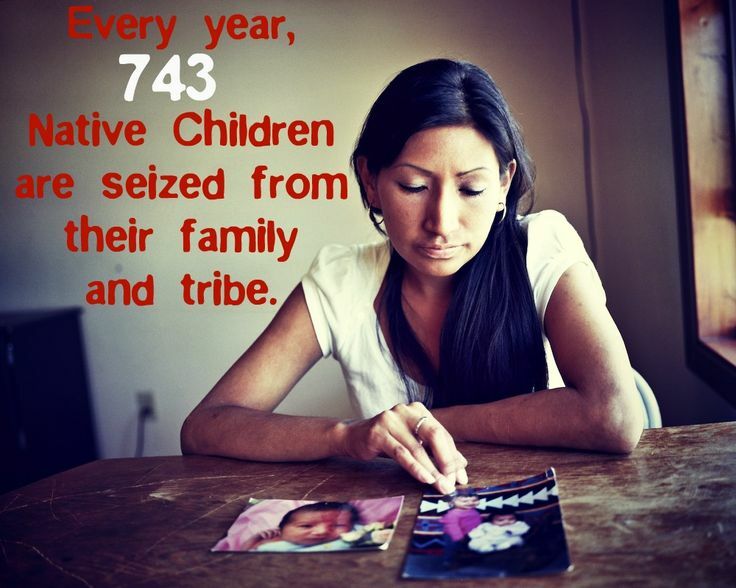 ICWA has helped to reduce these alarming removal rates and helped more Native families stay together. Child welfare research clearly shows that children are best served by preserving connections with their birth family and community. Child welfare experts across the country are working together with tribes, states, and allies to continue implementing and protecting ICWA as the “gold standard” in child welfare law and ensuring Native children and families receive the services they deserve. 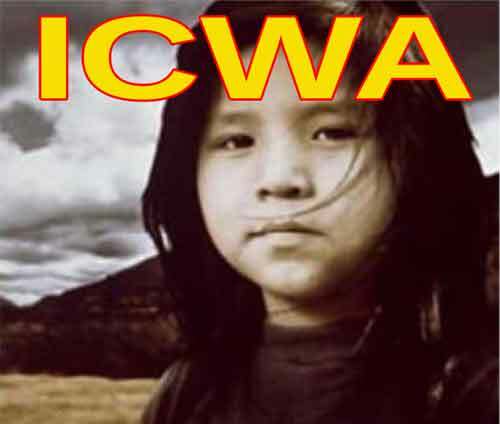 Striking down ICWA would not only be wrong as a matter of law; it also would have devastating real-world effects by harming Native children and undermining the ability of child welfare agencies and courts to serve their best interest. Evidence shows that ICWA’s framework achieves better outcomes for children. National Native organizations stand with tribal nations and non-tribal ICWA allies to take action to protect ICWA and end the unnecessary removal of Native children from their families, tribes, and communities. A copy of the reply brief of the Federal Defendants can be found here, a copy of the reply brief of the Intervening Tribes (Cherokee/Morongo/Oneida/Quinault) can be found here, a copy of the reply brief of the Navajo Nation can be found here. The federal lawsuit challenges a 1978 law that sought to reckon with America’s history of discriminating against Native Americans. Does it hold up 40 years later? The Brackeens decided to fight the court’s ruling, which would send A.L.M. to an unrelated Navajo family (his biological mother is a member of the Navajo Nation) in New Mexico whom he had met once. They printed out the eight-page law and pored over it. They heard, on a foster-care podcast, about a lawyer who specialized in ICWA. After connecting with him, they soon had a powerful legal team comprising family attorneys and high-profile lawyers from a national firm. While Chad and Jennifer made their case in state court for adopting A.L.M., their lawyers sued the U.S. Department of the Interior’s Bureau of Indian Affairs. ICWA is one of the only parts of the foster-care system that actually works, argues Kathryn Fort, a Michigan State law professor and one of the nation’s foremost ICWA experts. 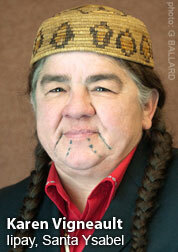 Fort is one of the lawyers representing the tribes in the Brackeen case. “ICWA is trying to get better outcomes for a small group of children in a system that has just horrific outcomes,” she told me. White social workers often approach her at conferences to complain about the law in a way that plays on antiquated stereotypes about Native people. “I've had many social workers ask me about why we let ‘these people’ play their Indian card at the last minute,” she said. Fort is white; they assume, she said, that she’ll be on their side. Case by case, Goldwater is attempting to undo federal law. Children hold a special place in Aboriginal cultures. According to tradition, they are gifts from the spirit world and have to be treated very gently lest they become disillusioned with this world and return to a more congenial place. They must be protected from harm because there are spirits that would wish to entice them back to that other realm. They bring a purity of vision to the world that can teach their elders. They carry within them the gifts that manifest themselves as they become teachers, mothers, hunters, councillors, artisans and visionaries. They renew the strength of the family, clan and village and make the elders young again with their joyful presence. Failure to care for these gifts bestowed on the family, and to protect children from the betrayal of others, is perhaps the greatest shame that can befall an Aboriginal family. It is a shame that countless Aboriginal families have experienced some of this repeatedly over generations. I saw a photo today (see below) This book cover reminded me of this excerpt and chapter in my memoir. Now that we have the internet and many ways to find information, I read that adoptees are more traumatized than a prisoner of war. That’s right. It’s called post-traumatic stress disorder. A prisoner of war may escape or be released, but an adoptee may suffer their entire life. I believe there are four distinct traumas in being an adoptee. They are: 1) in utero, when you feel what is happening to you or sense what is coming; 2) when you are delivered, abandoned, and handed to strangers; 3) later when you are told you are adopted and realize fully what it means; and 4) when you realize you are different, from a different culture or country, and you can’t contact your people, or know them, or have the information you need to find them. It took me years to get this. There are more traumas, too – like when I’d fill out forms at the doctor’s office. I had no medical history. I had no idea if I was sitting next to someone who could be my biological brother, sister, mother or father. It was terrifying to think I could marry my own relative! I could carry a gene or trait that I pass down to my children – and I wouldn’t know until it’s too late. If my birthparents were alcoholics, then I really shouldn’t drink. I could be pre-disposed to diabetes or heart disease or cancer or depression and not even know. My list went on and on. In 2006, I found out my birthmother had diabetes, which came as another shock. I realize a powerful link exists between what I’m feeling, and what happens in my body. Years ago I’d use emotional binging, working more than one job, creating drama, just to numb my emotional pain. By 18 I was a total workaholic! I blamed myself and hated myself for everything. What grief, too young to understand. My birthmother’s rejection destroyed my ability to trust anyone. There may be some adoptees who do not wish to heal this and go on as they are, holding on to these sad feelings and self-pity, rather than do the mental work to heal. Recognizing a pattern of belief is tough, partly because you gain sympathy by stealing (or sucking) energy from others when you act sick. That is no way to live. You need to be your own person, self-energizing, and not steal energy from anyone. Adoptees are meant to survive this, no matter who we are or how we were traumatized. It’s a test. Can we heal our own minds? Yes. Can we love two families? Yes. Can we take our recovery and story back to our families? Definitely. Some adoptees believe that when we meet mother or father, all pain and agony will disappear. That sadly is just hope. That is not the way it works. A reunion is just one step on the journey and it helps, but there are many many more steps just as difficult. It’s truly a test. Regardless of ancestry, creed or complexion, adoptees can heal this. The only one who can fix it is you. I’m uneasy around new people, reserved and shy at times. I’ve lived through many disappointments. It’s very upsetting to find out about orphan trauma now, years later, knowing no one bothered to tell me or help me while I was experiencing it. After multiple traumas, which I’ll describe, I came to terms with it… eventually. I am working on a new book with some memoir in the coming months. I wrote a research paper "Disappeared" and I want to add some of this paper to the new book. I have a doctor appt. next week, my cancer check-up. I am not worried, I feel fine. 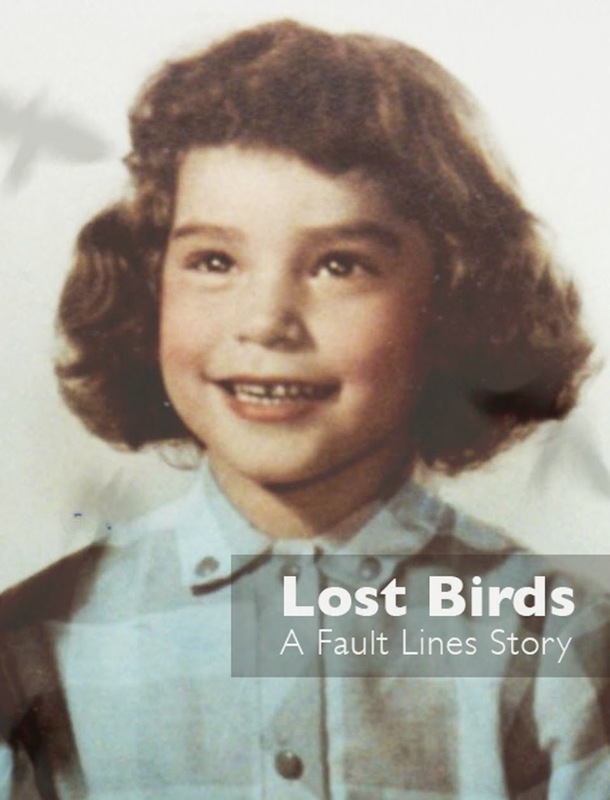 Daughter of a Lost Bird Trailer from Daughter of a Lost Bird on Vimeo. What does blood have to do with identity? Kendra Mylnechuk, an adult Native adoptee, born in 1980 at the cusp of the enactment of the Indian Child Welfare Act, is on a journey to reconnect with her birth family and discover her Lummi heritage. The film pays particular attention with regard to our diverse heritage as a nation founded on a multitude of Native nations, and specifically delves into the traditions and culture of the Lummi people. It also examines the current conditions of Lummi and American Indian people today and the Diaspora formed by the adopted community. Most significantly, the film aims to bring about cross-cultural awareness for those families that adopt across cultural lines, to become more tolerant and understanding of the potential problems that arise from cultural assimilation. POLSON – It’s a big leap, going from producing a 15-minute short film to making a feature-length one. But a woman who spent her childhood on the Flathead Indian Reservation started on a path last week that could help her make the jump. Brooke Swaney is in New Mexico over Memorial Day weekend for the first of a two-stage development program sponsored by Robert Redford’s Sundance Institute. She’s one of four fellows and projects chosen for Sundance’s 2012 NativeLab Fellowship, which provides continuous and direct support to Native American, Native Hawaiian and Alaskan Native filmmakers. She took her script, with the working title “Circle,” with her. Swaney wrote the feature-length script at the home of her mother, Ellen, who lives near Polson on Flathead Lake. Ellen says it weaves the four directions and four elements – air, earth, water and fire – so important in Native traditions into the story. It’s an adoption story that eventually leads Auralee from her home in New York City back to the place – a Montana Indian reservation – where she was born, but never knew. Getting such a project by an aspiring young filmmaker off the ground, that’s the challenge. The Sundance fellowship is a big step. This video was the best I could find regarding the insanity and lies in TV commercials you see every day about DNA testing. I have told many adoptees I do not trust or recommend DNA tests - I do not trust these companies. 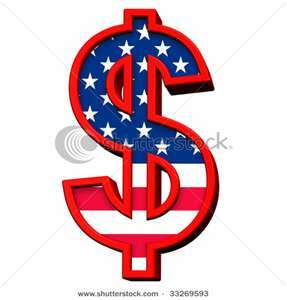 When I found my birthfather, we did a DNA test together and back then it was $500... that was in 1994. The test came back Earl was 99.9% my dad. So we knew without a doubt. 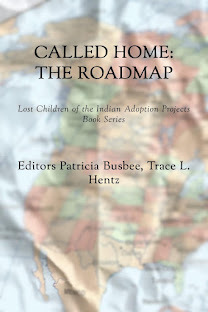 Tribes do not use DNA tests unless it is an adoptee who needs to test with a tribal relative or parent to prove their ancestral connection for tribal membership. You will test with a specific person (like an uncle) to see if you are indeed THEIR relative. My adoptee friend in Sisseton, South Dakota did a DNA test with his father (who he didn't know was his father) because the tribe wanted to prove paternity - and my friend's children wanted to be enrolled in Sisseton. The test turned out 99.9% that this man was his dad. And now my friend is 100% Sisseton! An adoptee would do DNA testing to find a cousin or aunt or someone else who IS your family member and go from there, with a reunion and phone calls. Using DNA to say you are Native American/American Indian is not realistic. Why? Tribes do not trust these companies and do not use DNA for determining who is a tribal member. THEY will not use this test without a reason. But when it comes to Native Americans, the question of genetic testing, and particularly genetic testing to determine ancestral origins, is controversial. […] Researchers and ethicists are still figuring how to balance scientific goals with the need to respect individual and cultural privacy. And for Native Americans, the question of how to do that, like nearly everything, is bound up in a long history of racism and colonialism. NOW... one DNA testing company admits they are sharing our DNA data with the FBI. Not that I'm personally worried about criminals -- but WE didn't APPROVE how they SHARE our PERSONAL INFORMATION. Once they have it, they own it. I wrote about this controversy myself in “BLOOD FOR MONEY”. My take on DNA: LEECH AND EARTHWORM. It’s not just money we need to be concerned about. Most importantly, opponents disregard decades of evidence and case law that show ICWA’s provisions are demonstrably in the best interests of the child. Accepted best practices among child welfare experts – including those in Texas – call for keeping a child with his or her family or relatives whenever possible. ICWA does just that. That is why ICWA is regarded as the gold standardfor child welfare and is so strongly supported by preeminent organizations such as the National CASA Association, the National Association of Social Workers, Casey Family Programs and the Annie E. Casey Foundation. 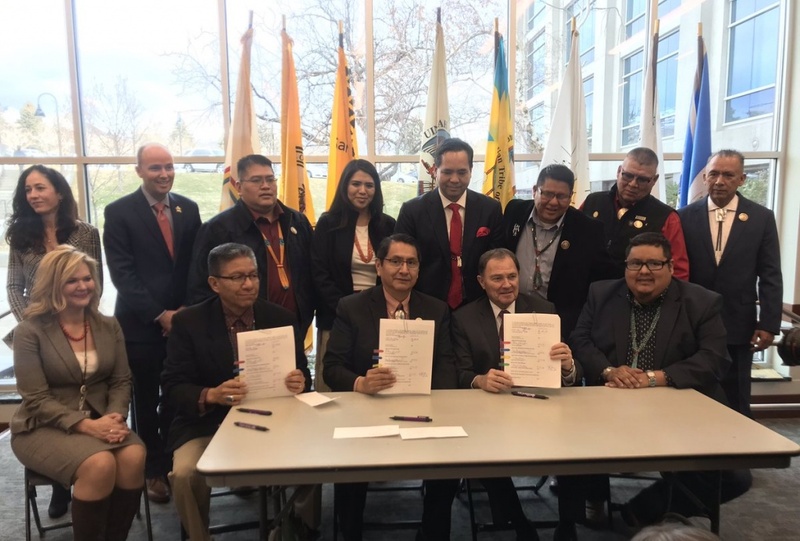 The Navajo Nation and Utah Governor signed an inter-governmental agreement Monday, Feb. 4, 2019, to strengthen and further protect the Indian Child Welfare Act for the benefit of Navajo children in the State of Utah. Nation President Jonathan Nez and Vice President Myron Lizer met with Governor Gary Herbert to make it official at the Utah State Capitol during the annual American Indian Caucus Day. SALT LAKE CITY — Navajo Nation President Jonathan Nez praised Utah leaders Monday for standing behind a federal law that urges keeping Native American children with their own tribal members should they need adoption or foster care placement. 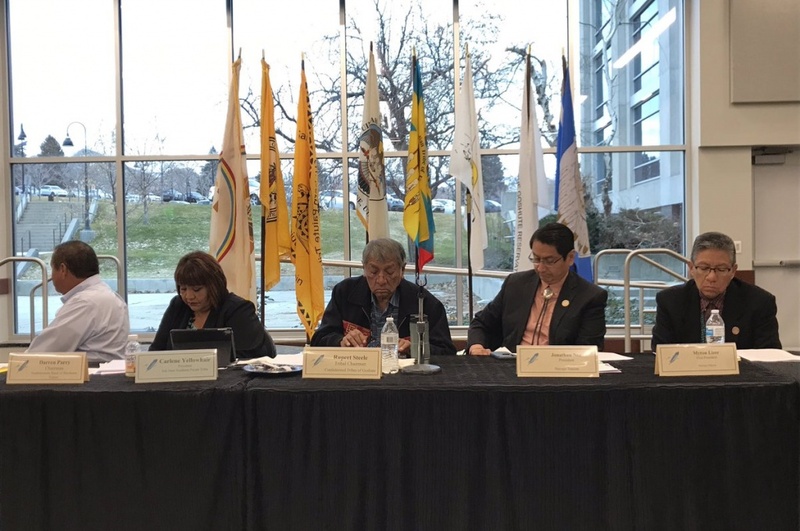 "This is a model for not only the Navajo Nation but throughout Indian country," Nez said in reaction to the three-way endorsement of an interl-local agreement among the Navajo Nation, Utah Gov. Gary Herbert and Utah Attorney General Sean Reyes. The signing event an interlocal agreement took place in the auditorium of the State Office Building during American Indian Caucus Day and comes even in the midst of legal challenges to the Indian Child Welfare Act, asserting it is unconstitutional because it elevates a child's race over their best interest. A federal judge last October struck down the decades-old law after the state of Texas argued racial bias in the case of a non-native couple who sued for the right to adopt a Native American toddler they had fostered for more than a year. The Texas state court denied their adoption petition based on the federal law that gives preference to Native American families in such circumstances. The Utah Attorney General's Office filed a friend of the court brief in support of the federal law. Tough negotiations over the last couple years resulted in Utah's Department of Human Services pledging to continue to keep Navajo children with tribal members as much as possible when it comes to state custody cases. The daylong caucus event was a chance for leaders and representatives of the eight sovereign tribes in Utah to discuss specific wish lists or complaints regarding their relationship with the state in general and Herbert's office in particular. Shoshone Nation Chairman Darren Parry said the tribe is hoping Utah lawmakers give $1 million to help pay for an interpretive center at the Bear River Massacre site in southeast Idaho. Rupert Steele of the Confederated Tribes of the Goshute Nation wants more state assistance to deal with "years and years and years" of persistent problems that include fixing a road that is dangerous to travel for Goshute students. Navajo Nation representatives noted the state's financial efforts to boost teacher retention and training in San Juan County, but said more needs to happen. In addition, the state could do more to financially participate in issues related to economic development, improvement in roads and other infrastructure needs. Tribal representatives did note the first phase of funding had been secured for the extension of broadband into Bluff and areas like Montezuma Creek. Charlaine Tso, the newly elected council delegate for the Bears Ears region of the Navajo Nation, told Herbert the state should support preservation of sacred lands through the Bears Ears National Monument designation, which was reversed in December of 2017, and to help address the ongoing racial challenges playing out in San Juan County politics. Two members of the Navajo nation were elected to positions on the San Juan County Commission, but there have been unsuccessful legal challenges raised over allegations related to one member's out-of-state residency. On Tuesday night, the San Juan County Commission is scheduled to take a vote on a number of resolutions, including one urging restoration of the Bears Ears National Monument and rescission of any resolutions by the previous commission that supported its dismantlement. The commission is also set to vote on the reversal and withdrawal of any position or legal documents that supported the monument reduction.